2018 & Prior Bonneville Speedmaster $1000 Triumph Cash OR Special Financing Rate: 0% for 48 months OR 3.99% for 60 months OR 6.99% for 72 months. 2019 Bonneville Speedmaster Special Financing Rate: 0% for 48 months OR 3.99% for 60 months OR 6.99% for 72 months. 2018 & Prior Bonneville Bobber & Bobber Black $750 Triumph Cash OR Special Financing Rate: 0% for 48 months OR 3.99% for 60 months OR 6.99% for 72 months. 2019 Bonneville Bobber & Bobber Black Special Financing Rate: 0% for 48 months OR 3.99% for 60 months OR 6.99% for 72 months. 2018 & Prior Bonneville T120 & T120 Black $750 Triumph Cash OR Special Financing Rate: 1.99% for 48 months OR 3.99% for 60 months OR 6.99% for 72 months. 2019 Bonneville T120 & T120 Black 1.99% Special Financing Rate: 1.99% for 48 months OR 3.99% for 60 months OR 6.99% for 72 months. 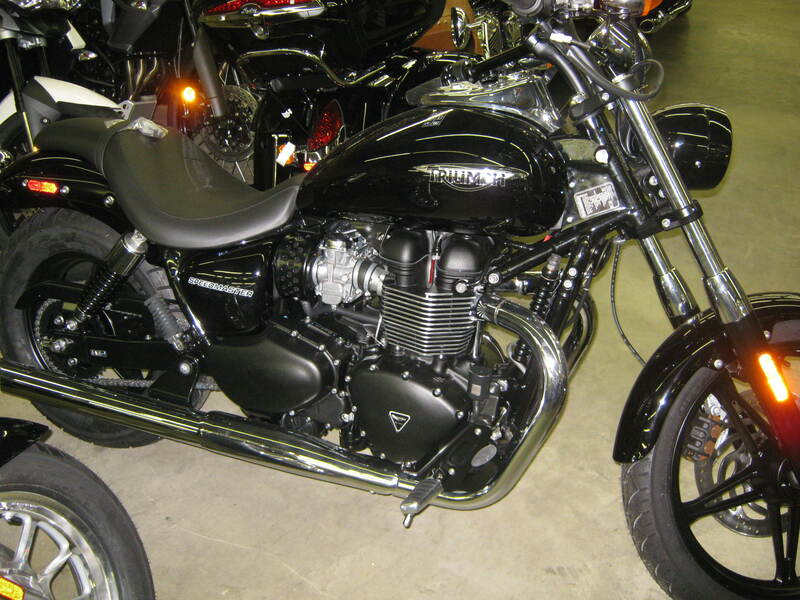 2018 & Bonneville T100 & T100 Black $750 Triumph Cash OR Special Financing Rate: 0% for 48 months OR 3.99% for 60 months OR 6.99% for 72 months. 2019 Bonneville T100 & T100 Black Special Financing Rate: 0% for 48 months OR 3.99% for 60 months OR 6.99% for 72 months. 2019 Scrambler 1200 XC, Scrambler 1200 XE & 2019 Speed Twin Special Financing Rate: 6.29% for 48 months OR 6.89% for 60 months OR 7.69% for 72 months. All 2018 & Prior Tiger 1200 / Tiger Explorer Models, All 2018 & Prior Tiger 800 Models $1000 Triumph Cash OR Special Financing Rate: 1.99% for 48 months OR 3.99% for 60 months OR 6.99% for 72 months PLUS FREE two-bag pannier set (installation not included). All 2019 Tiger 800 & 1200 Models Special Financing Rate: 6.29% for 48 months OR 6.89% for 60 months OR 7.69% for 72 months PLUS FREE two-bag pannier set (installation not included).